Julia Gaudio began her hairdressing career at the age of 14 as a Saturday assistant in a Cambridge salon where she worked her way up the career ladder. At the age of 20, Julia moved to Hair Ott salon group and training academy in Portsmouth where she gained a wealth of experience, soon becoming a senior member of staff. By 22, Julia was managing her own salon in Cambridge where she realised that her dream was to run her own business. Julia made the move to set up her own salon in 2008 and found the wonderful site in Cambridge’s Hills Road – and so Elajé was born. Success has followed and now Julia employs a team of highly skilled stylists and therapists. The ethos Julia has provided at Elajé encourages creativity and growth among the staff which gives the salon a great buzz and an environment where the clients can guarantee they will receive the best. Natalie trained at Cambridge Regional College where she gained NVQ level 2 and 3 in both Hairdressing and Beauty Therapy. She has additional qualifications in Racoon Hair Extensions, Barbering, Creative Cutting, Classic Cutting and Motivation and Leadership. Natalie worked in various salons in Cambridge before becoming part of the launch team at Elajé in 2008. Her career highlight to date was when she spent some time working behind the scenes at a fashion show plus her studying for Trichology of which she has completed one year with a further two years to go. She loves challenging herself to achieve new looks and styles and make people look amazing. Fiona joined the Elajé team in 2012 as a qualified stylist. She began her hairdressing career as an apprentice at Directors Hair in Cambridge and trained at Cambridge Regional College, gaining an NVQ Level 2. Highly creative, Fiona loves nothing more than to help clients revamp their look and loves to take inspiration from style icons such as Rihanna and Katy Perry. 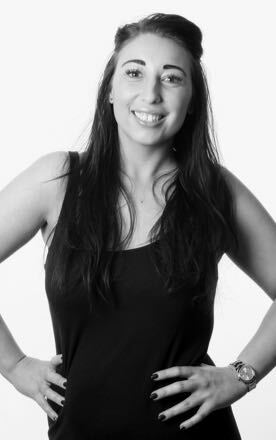 Since joining the team in 2011 Gemma has risen to her current position due to her dedication and love of all things hair! In addition, she is a superb listener which is truly valued by her new and loyal clients. As well as being an expert in Brazilian blow drying Gemma has recently qualified as a Wella Master Colour specialist. Jemma has been hairdressing for 21 years and during this time has gained a host of qualifications up to NVQ Level 3 which is outstanding. Over and above her hairdressing skills, Jemma has shown a natural inclination towards sharing her knowledge with others. With this in mind, she has worked towards and achieved her Teaching & Assessors qualification. Not one to “follow the crowd” Jemma has experienced and enjoys participating in photography, music, scuba diving and travel to far flung destinations. Her latest challenge is working towards completing her helicopter pilot’s licence. Specialist areas: All aspects of hair cutting, colour and dressing long hair up styles. 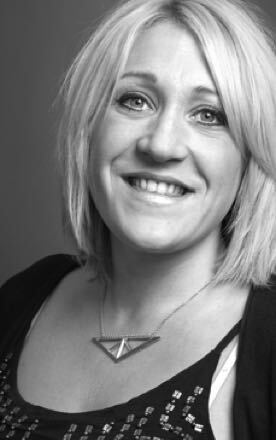 Sarah is a Senior Stylist at Elaje with 6 years experience in the hairdressing industry. What Sarah enjoys most about hairdressing is the interaction that she has with the people she works with, and building up a relationship with her loyal clients. Alana has over 7 years worth of knowledge and experience in the hair industry. One of Alana’s qualities is that she love’s caring for people and has a huge heart making her popular with her loyal clients and colleagues. Most importantly Alana listens to her clients and advises them how best to get the results they want. Sophie is summed up with the words “fun, bubbly and compassionate”. A skilled stylist Sophie also enjoys styling and blow drying, your ‘go to’ stylist for a Hollywood blow dry that will last ages! 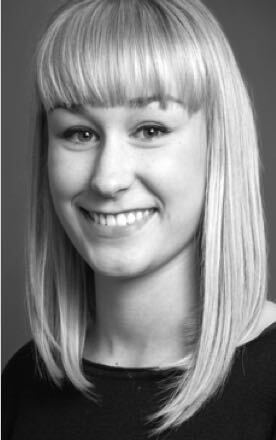 Along with 7 years experience in hairdressing, Sophie’s main hobbies outside of work are horse riding and house renovation. Specialist area: Men’s hair cutting. Megan has an NVQ Level 2 qualification in hairdressing and with almost 5 years experience in the hair industry. 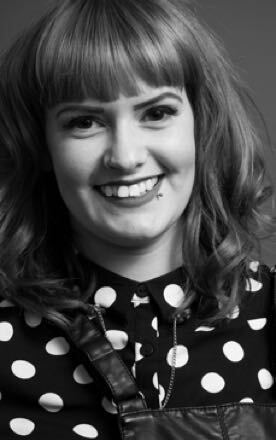 Extremely creative, Megan enjoys exploring optimum colour choices for her clients and is passionate about all aspects of hairdressing, enjoying cutting and colouring in equal measures. 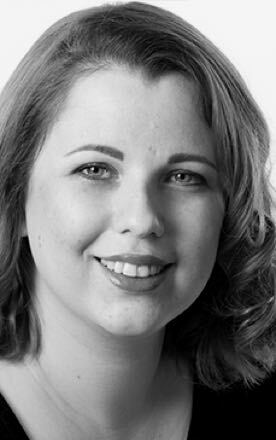 Lucy has worked at Elaje for 5 years, working her way up through the ranks. In addition to her NVQ qualification Lucy also has 2 Vidal Sassoon certificates for cutting. An all round hairdresser with strong cutting skills and a love for colouring. “I always have my clients best interests at heart and thrive on making people happy”. Saffron has worked in the hair industry for 4 years and is qualified to NVQ Level 2 & 3. Michelle began her training at Cambridge Regional College but has continued her training throughout her career. Highly qualified, Michelle has NVQ Levels 2 and 3 in Beauty Therapy and qualifications covering OPI, Caci, Bio, St Tropez Tanning and AH Francis Lash Extensions. 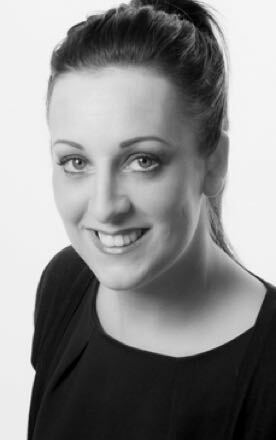 Michelle is also qualified as a Dermalogica Specialist and is working towards her Dermalogica Expert certificate. Her career has included working for London’s Selfridges, where she was a nail technician for OPI as well as working for several Cambridge-based salons. Michelle’s experience has also taken her all over the world when worked in the luxury spa on board Steiner’s Disney Cruise ship. Michelle joined the Elajé team in December 2010. She loves travel, dancing and shopping and has been told she resembles Jessie J! 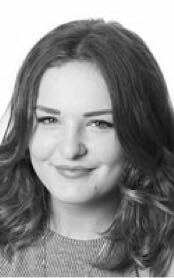 Leanne has been in the beauty industry for 9 years and is qualified to National BTEC Diploma (Level 3) in Beauty Therapy Sciences, along with a wide range of beauty brand certificates. This means that Leanne has extensive knowledge of not only beauty therapy but anatomy, dermatology, and a whole range of complementary therapeutic practices from massages to aromatherapy. Having trained at Cambridge Regional College, Samantha gained NVQ Level 2 in Beauty Therapy and has since gained an impressive portfolio of qualifications in Caci Face & Body; Massage; Eyelash extensions, Thai Foot Massage; Reiki, Bio Nails; Dermalogica Skincare; Gatineau Skincare, St Tropez Tanning and Men’s wet shave. Samantha previously worked as a therapist at Cambridge’s Time Room before joining Elaje at its launch. She takes great satisfaction in making others feel and look good. 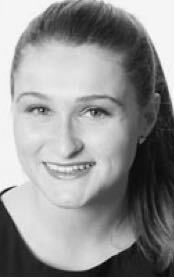 In her spare time, Samantha enjoys martial arts, socialising and shopping. Alice has a range of beauty skills and holds an NVQ 2 in waxing, tanning, manicure & pedicure, bio gel nails, massage, tinting and make up. 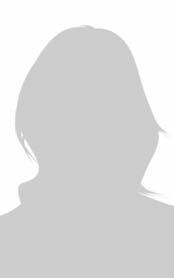 She joined Elajé in 2013 having retrained to pursue her dream job in beauty after a career within the criminal justice system. 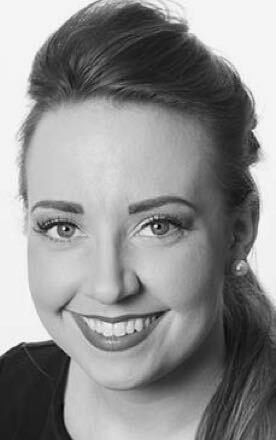 Rebecca has 3 years of beauty therapy experience and is qualified to NVQ Level 2 and is also Dermalogica trained. As a Dermalogica Certified Skin Specialist, facial treatments are customised based on consultation with a zone-by-zone Face Mapping® skin analysis to ensure optimal results. 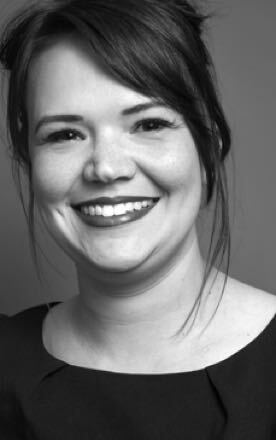 Rebecca’s experience and attention to detail ensures each and every client leaves perfectly groomed. Specialist area: Eyebrow enhancing treatments and LVL lash treatments. Marisa enjoys a wide range of diverse treatments and utilises her knowledge and skills to customise treatments to suit her clients needs. Specialist area: Pedicures and wax hair removal. The word pedicure comes from the Latin, a combination of the words pes (foot), and cura (care). Far back in history, these treatments were given to prevent disorders and diseases of the nails. Raffaella enjoys having a positive energy vibe around her and loves to help people out. As well as supporting the Front of House team she is also qualified in applying eyelash extensions, manicures and bio sculptures. 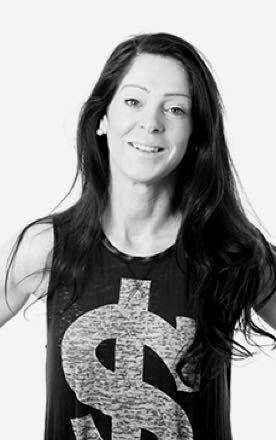 Kelly has been a Beauty Therapist for 23 years and holds Diploma’s in holistic therapy (massage and reflexology), electrolysis, CACI Ultimate, Ultra & Synergy treatments. Highly organised with great attention to detail Kelly loves travelling and spending quality time with family and friends. Specialist areas: Advanced Electrolysis for Milia, skin tags and thread veins. 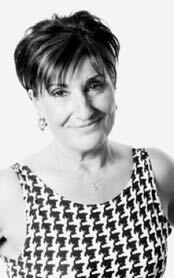 Jolie, very much a people person, has undertaken motivational and mentoring training from Wella Client Delight and is also CACI trained. Her motto is to “be the best that I can” and this permeates her work and attitude at Elajé with a very positive effect on staff and clients alike. Jolie has been with the team for 10 years. In her spare time, she takes part in half marathons and three-peak events enjoying the physical challenge to push herself. Maria has worked at Elaje for 11 years and is one of our reception/Front of House team. Meeting and greeting clients at Elaje is incredibly important and Maria always offers a smile and warm welcome to all our clients. Outside of the salon Maria loves family time especially indulging her grandchildren! Emma will always greet you with a smile and a lovely welcome. Communication and team work are key words for Emma, believing quite rightly that the reception team dovetails nicely with the styling and beauty teams to ensure all clients receive a very special experience from entering the salon to waving us goodbye.